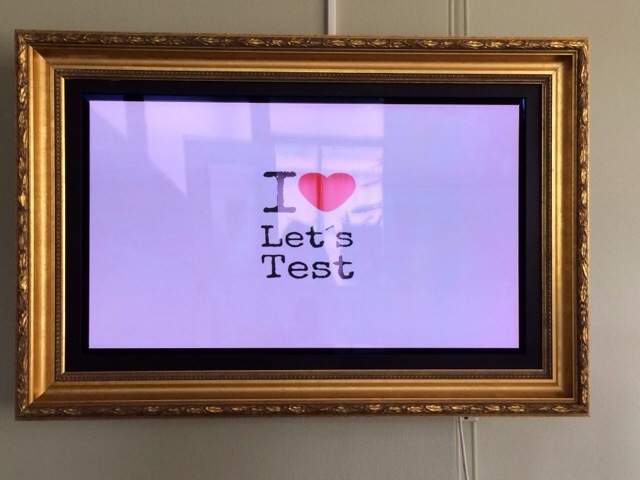 There are lots of great blog posts about Let’s Test 2014 appearing every day, and a common theme between them is about how Let’s Test is about conferring with other like minded testers. I had heard about how much happens in the corridors, over lunch and dinner and in between sessions at Let’s Test. I was wondering if that was really the case and I am happy to report that it is just like that. People seem to be so relaxed at Let’s Test that sharing ideas, experiences and challenges seems to just happen. Let’s Test prides itself about being a conference for testers by testers, and one of their stickers read: Because people matter. The whole conference is about getting people to talk. The fact that we are all stuck in a resort far from everything for 3 days helps a lot! There is no escaping – not that anyone would want to anyway. I loved the fact that we had all meals taken care of, no planning required. All we had to do was to serve ourselves and chat some more. You never know when you are going to have your next light bulb moment, so keep the interactions going, participating in the community, discussing and serendipitous learning moments will happen when you least expect! I’m glad I made it to Let’s Test this year. Thanks to everyone that I had a chance to chat with. And I’m certainly going to be there next year again doing much of the same thing! When do registrations open for Let’s Test 2015? !